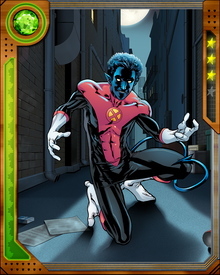 Kurt Wagner was born in provincial Germany, son of Mystique. He did not discover this for some time because when he was an infant she threw him into a local river and fled. This was due to the townspeople's hysteria at the infant Kurt's demonic appearance: blue fur, bright yellow eyes, prehensile pointed tail, hands and feet with three digits. 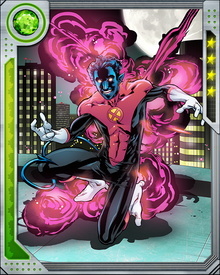 Kurt survived to join the X-Men as a young adult.